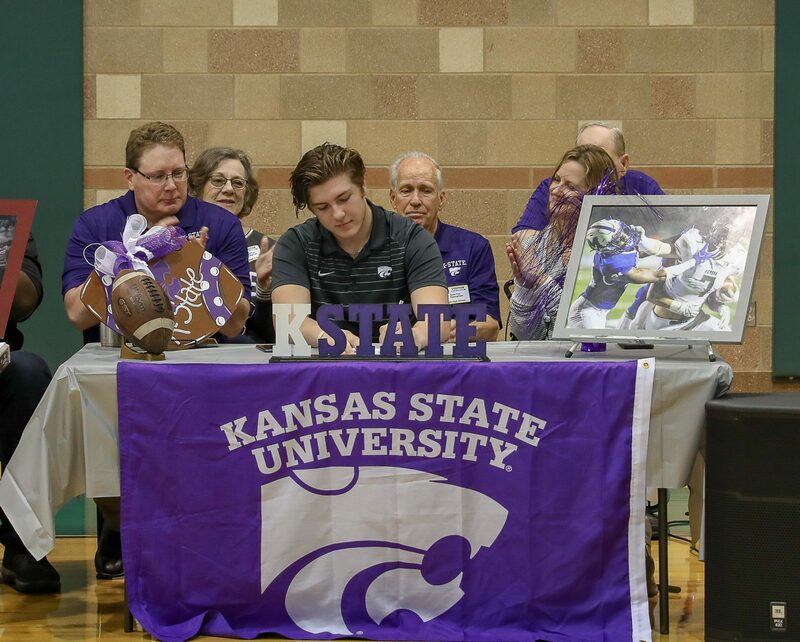 February 6, 2019 – Konner Fox signed his National Letter of Intent on December 19th to play football for the Kansas State University Wildcats and celebrates that commitment today at Reagan’s signing day ceremony. Kansas State University is a Division I program, part of the Big 12 Conference, located in Manhattan, Kansas. Fox played Football for Reagan all 4 years, earning his Varsity letter the past two years as both a Quarterback and a Wide Receiver. During the 2018 season as a Wide Receiver, Fox was awarded Express News All-Area Football Team, All District Second Team, KSAT Elite 12, and was Player of the Week against Steele. In 2017, Fox was named unanimous All District First Team as Wide Receiver. Konner will play Tight End for Kansas State next year and you can follow him at @KStateFB or @KStateSports. Thank you Konner for your contributions to Reagan. Best wishes for continued success at Kansas State University!